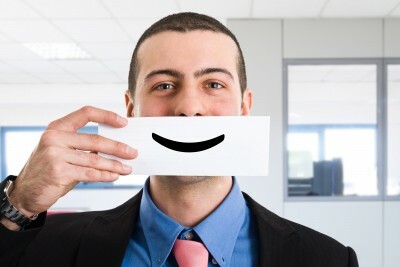 Yesterday, I gave you A Dozen Good Reasons You Should Be Cautious About Employee Happiness. My point was that the current focus on happiness on the job is just another distracting fad that will take the needed focus away from HR’s primary role of increasing employee productivity and innovation. Today, I’m giving you some more to think about when it comes to happiness and engagement in your workplace. Collaboration is actually a more impactful goal — Some of the happiness actions that you take may inadvertently increase employee collaboration and “time for thinking.” No matter how they are created, these two outcomes will have a large and positive impact on innovation. Personalization is important — Because happiness is such an individual thing, only a solution that is personalized to each individual employee may be effective. Hire self-motivated and impatient people — Instead of hiring already happy people, a superior alternative would be to hire driven, inpatient people — ones who are self-motivated and who see the glass is half full. Without any prodding or happiness perks, these individuals will be constantly looking for ways to increase efficiency, productivity, and innovation. Before hiring anyone, survey your top candidates and ask them what they expect in a great job. You’ll find, as I have, that top performers and innovators care about the work and the opportunity to make a difference. Happiness perks do not even appear on their short list of attraction factors. You must proactively minimize unhappiness — Happiness does not cause productivity, but an unhappy worker will certainly act in dysfunctional ways. They will typically be sick, late, and absent more frequently. And if they are truly frustrated, unhappy workers certainly won’t volunteer for extra work or overtime and will have a higher intention to quit. As a result, it makes sense to have a program that helps managers identify and minimize the unhappiness of individual employees. If you’re still not convinced that you should be wary of the happiness fad, here are some additional negative factors to consider. Managers must see value — If you expect individual managers to take employee happiness seriously, you must show them the value and the business impact of having happy employees. Then you must measure and reward managers for raising happiness within their team, or your corporate-wide happiness efforts will have little actual impact. Surveys are expensive — Most underestimate the costs of happiness surveys, especially the employee time required to fill out the surveys. In addition, the time spent analyzing, interpreting, presenting the results and finding solutions can be significant. Happiness perks may hamper teamwork — Some happiness perks like shared free meals have the added benefit of increasing teamwork. Others like isolation chambers, time off, nap rooms, and massages may actually reduce team cohesion. Happiness solutions may inadvertently lead to frustration — In many cases, employees will be unhappy because of structural issues like pay, communications, or limited growth opportunities. In these cases, you may actually anger and frustrate them when you implement fun perks like exercise equipment and games. This is because taking the wrong actions may finally reveal to your employees that HR and corporate leadership are totally unaware of the real problems that frustrate them. Happy people may still quit — If you conduct delayed post-exit interviews, you may find that otherwise happy employees may still quit for reasons not normally addressed in happiness efforts. This may mean that your employees are happy with the company overall, but they still want more in pay, opportunities, and new challenges. Unions are skeptical — If you operate in a union environment, be aware that unions generally focus on job security and “the money.” That means that they are often suspicious about happiness perks that are not written into the contract. Having everything doesn’t guarantee happiness — Corporate leaders somehow believe that providing employees with everything that’s fun and exciting will make them happy. But if you look at the experience of most large Lotto winners who have everything, you’ll find that most are generally not happy as a result of winning. Other factors impact happiness — External factors like an employee’s family life, their health, and the economy have a significant impact on employee happiness. So be careful about taking credit or blame when employee happiness levels change. For example, if the unemployment rate goes up 50 percent, and you do nothing, you can expect a corresponding jump in employee happiness. Because in a bad economy, simply having job security is enough to make many of your employees happier. Like any important employee program, putting someone in charge of happiness and using metrics to continually improve it are essential if you expect to even have a small probability of success. Simply copying the perks that are offered at your competitors and letting your culture self-manage happiness will on the other hand surely lead to failure. And if you decide to skip this passing fad altogether, realize that there are 20 plus factors that impact employee productivity, so focusing on one tangential factor simply cannot have a major impact on increasing it. Having happy workers with a weak plan, insufficient tools, and no training will never produce positive business results. Finally, the perspective of shareholders should also be considered. They want employees to be focused and driven, and these owners expect those behaviors to come as a result of pressure to perform and rewards that only come when you do. In general, they don’t support any perks that don’t have a measurable and direct impact on employee productivity.